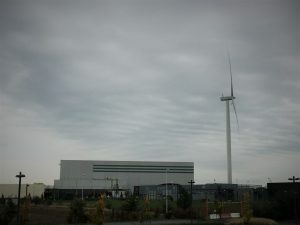 Although this type of installation can be found quite frequently in Flanders, wind turbines have so far only been established to a very limited extent in Wallonia. 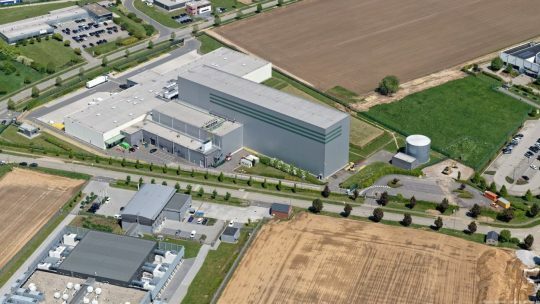 Further to adaptations to decrees and the strong support of the Region, this situation is evolving a little: EDF Luminus has been able to build its first wind turbine in Wallonia on the Fri-Pharma site at Crealys®. Willy Borsus, Minister-President of Wallonia, and Jean-Luc Crucke, Walloon Minister for Energy, inaugurated this turbine on 25 October 2018 in the presence of leading business representatives. This wind turbine will make it possible to provide a significant power supply on this very sensitive site, guaranteeing the energy security of the activities while helping to protect the environment. It will generate almost five million kWh, 66% of which will be used locally by the site itself. The infrastructures are used to store GSK’s high added value products and then distribute them throughout the world, given that most of the group’s vaccines come from this centre.